I wanted to do the Southern Coast: far away from the hustle and bustle of Istanbul or the defined tourism of Bordrum. To Capri I will return. Not once but every year. Our ability to forget and forgive is our biggest weakness, which the Establishment exploits unabashedly. So the much-awaited verdict was delivered with a hysterical media to boot: it's almost as if nothing else of much import is happening in India today. It is ironic: Rahul Gandhi is missed when he is actually missing. 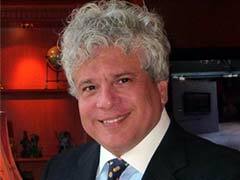 Why did she abet Gandhis in their agenda, asks Suhel Seth. And nor should you, writes Suhel Seth.